This time of year presents an opportunity for us to consider friends and family, and give gifts that are meaningful. Gifts should be a personal thing, and some thought applied makes it more special. There is nothing worse than giving gifts just for the sake of it. They should be given cheerfully and with nothing expected. 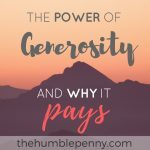 Although as we know, generosity has power and does pay in one way or another. 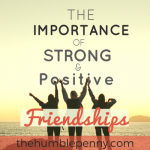 I’ve previously written about why money and friendships should never mix. 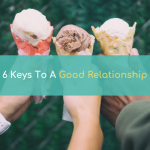 The research showed that gifts keep our relationships in the social dimension. They don’t introduce the complexities that come into play when money is involved. For this reason, you should where possible, give gifts (without a price tag) rather than cash. It also helps giving gifts through the year, especially if they’re not expected. No matter what your budget is, there is always something special you can find for your loved ones or people you want to build a relationship with. Personally, I really like handmade gifts or gifts that have been bought to help me grow or improve in some way. Gifts of experiences are also a lot of fun. Given that we aim for this site to help you grow holistically, we’ve selected gifts that you or loved ones will find useful with the new year around the corner. Productivity is a big part of what separates a successful person from one who isn’t. The above planner helped me achieve balance – Business, Family, and Life. It will help you beat procrastination and focus on your Most Important Task “MIT”. I enjoy this planner because it is clear and helps me actually achieve stuff. It is based on the focused Pomodoro style work system. You get to rate your productivity at the end of each day. 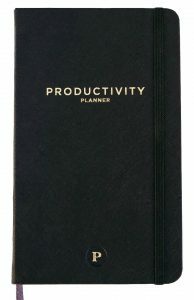 Buy this if you want to increase your productivity and achieve your daily goals consistently. We are big fans of gratitude journaling. 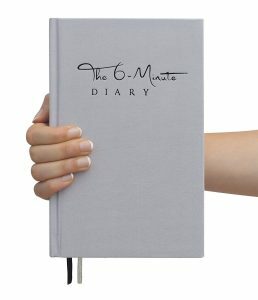 The 6-minute diary takes things a step further for a happier and more fulfilled life. It takes a simple and scientific approach and is based on positive psychology research from over 150,000 users. This diary helps you focus on progress and the good things in life. It also helps you do more with less. You use doable portions of 3 minutes in the morning and 3 minutes in the evening to really focus on what matters to you daily. 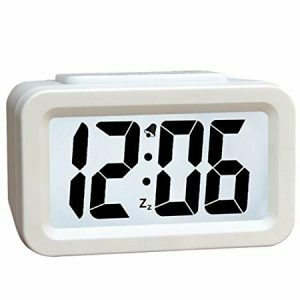 How many times do you snooze your phone alarm every morning? I personally have suffered from this a lot! Until, I moved away from using my phone as an alarm, and investing in a dedicated alarm to wake me up! One way I’m able to keep up the consistency of producing blog content is to wake up early. This alarm helps me stay ahead. I’ve previously written about the direct link between creativity and your ability to make more money. Creativity is like a muscle and needs to be worked at for you to get better at applying your inbuilt creativity. The above books helps you unlock your creative forces, curiosity and questioning skills. 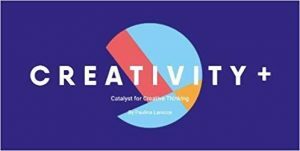 It goes beyond just being a toolkit and is essentially a philosophy for infusing creative thinking into all areas of your life. Plus it helps you bring ideas to life, covering the four phases of innovation – Vision, discovery, ideation and momentum. Finally, it covers the importance of skillset (knowledge), mindset (attitudes) and toolset (techniques). 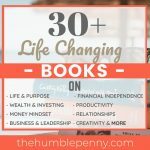 Starting this blog was something completely outside of my comfort zone. I worried a lot about being judged and how I would be perceived etc. I even worried about my full name being difficult to pronounce. Pressfield refers to this as “resistance” in this book. 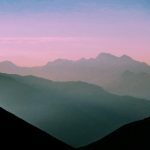 The more resistance you experience with something you want to do, the surer you can be that it is the best thing for your personal growth and development. The more scared you're the more you need to do it to honour yourself. Whenever I have been myself the most and seen success, it's usually the result of doing things I'm afraid to do but doing them anyway. 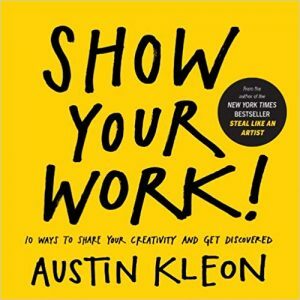 This small and beautiful book on creativity is packed full of motivation to show your work. You might be a numbers person like me and believe you have no creativity. Or perhaps you grew up never being told you were creative. 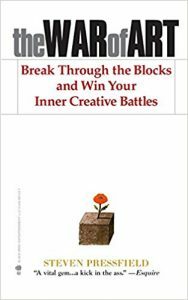 This book will transform your life and ignite the creative person within you. I wholeheartedly love this book. It is written to transform. 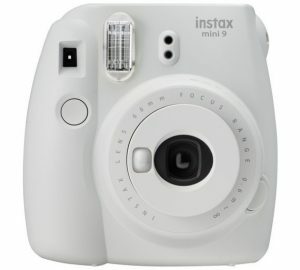 This fun camera produces instant credit card size photos. It would make a great present for anyone who likes to print pictures rather than accumulate digital files. They’re especially great for parties and other social events. Marriages can be successful if both people understand each other and how they can be appreciated and loved. I came across this book in 2010 when I was getting ready to get married, and I read it together with my wife. As expected, we both spoke different love languages, which was quite exciting to know because we became aware of how best to relate to and show each other love. 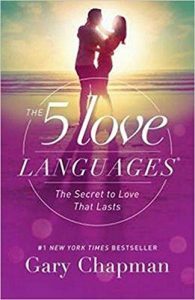 This book is simple, practical and effective, and something I'd recommend to anyone in a meaningful relationship. It would also make a great present for any soon to be married person or anyone aiming for a long term relationship. The wearable technology is now available to ensure you understand your body more than ever before. 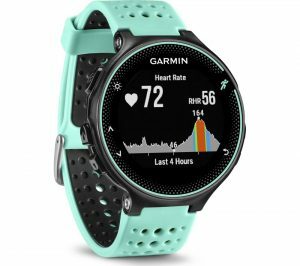 The above Garmin watch is what I use, and I bought it because it is simple, super light and packed full of features. Whether you’re into running, walking, cycling, swimming, it has something for everyone. It tracks heart rate at the wrist, tracks activities such as steps, sleep, distance, pace, calories burned etc. There are also connected features such as audio prompts, smart notifications and music control. You can get these in different coloured straps. I have the black and red one. If you have children or nephews, nieces or godchildren aged 6 and above, then this is something to consider. 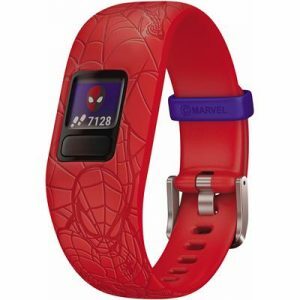 The spider-man tracker is swim-friendly and offers lots of interactive options. It motivates kids to achieve activity minute goals that then unlock games, adventures featuring Spider-Man. Features include tracking steps, sleeps, and 60 minutes of daily recommended activities. It also has a parent-controlled app, which gives access to chore management and reward tools. I’ve become really passionate about online businesses and I’ve gained a lot from starting this blog. One of the major reasons for this is because online business can offer a really high return on investment. If you’re interested in starting either a vlog or creating video course content etc, then these are must have kits. They’d also be very ideal to buy and encourage a partner to venture out in the new year. If you’re anything like me, then the chances are you’re afraid to be in front of the camera. As I love to challenge myself, I’ve recently invested in one. I’m writing my first video course and really excited by the creative process and small beginnings. 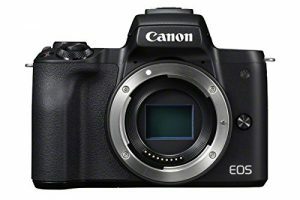 This camera is a perfect one if you want to become a vlogger or write courses to earn passive income. The future will be all about video and audio, and this camera gives you the best of both. It is small, light and simple to use. Best of all, it has autofocus for video, and lets you add your own microphone. This is possibly the best microphone you can buy out there. 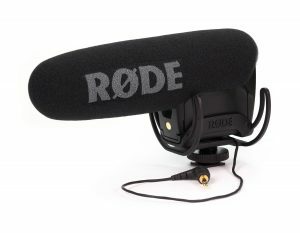 It’s a condenser microphone and offers broadcast quality. It is lightweight and mounts well on pretty much all cameras, including the Canon M50 above. It’s what we are using to create our video courses in the works. Highly recommended. This is the perfect organiser for carrying things like USB cables, headphones, chargers, adapters etc. The functional and intelligent design provides endless configurations for all your digital devices. It is perfect for travel, business, school, and is conveniently sized to fit into any laptop bag or travel case. This will essentially help you save time on the go by easily find what you need without hassle. 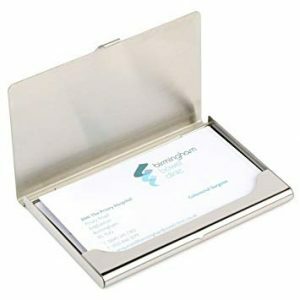 I recently bought this neat business card holder and I absolutely love it! It now means that I’m more organised about getting the message out about this site and what we do. This will be an excellent and affordable gift for anyone in business or someone starting a side hustle. No one likes talking about money. Although I can guarantee the below gift ideas for friends will get a different kind of conversation going. We love playing games at home and when I met Mary, almost a decade ago, we played this game together. Excellent game if you or someone you know dreams of escaping the rat race one day. 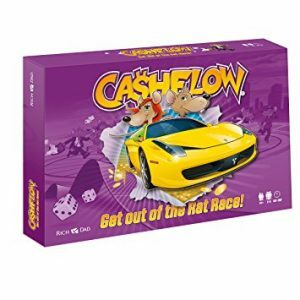 This game is really an educational tool and is ideal for playing with teenagers and friends. This is a brilliant investing book that teaches how to create the best investment portfolio no matter your risk level. It teaches the important strategy of low cost passive investing and how not to try to beat the market. It is really well written although I have to admit that it assumes a certain level of understanding about money. One thing I took away from this book is the need to be deliberate about building wealth. 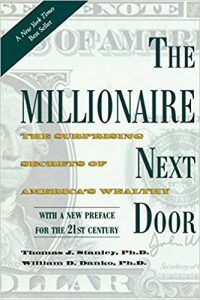 This classic book contains a lot of timeless advice on what money is, why you should not spend all your money, be frugal, “make thy money grow” etc. The life lessons in this book are communicated using the powerful tool of storytelling, and I believe everyone (students, workers, entrepreneurs etc) should definitely read this book! This book reveals 7 recurring traits among those who have accumulated wealth. These traits are a great revelation as they really go against the trend of consumerism. E.g. The idea of people living as though they're rich (new flash cars etc) when in reality they're far from it. Such traits include i) living below your means ii) Financial Independence is more important than social status etc. 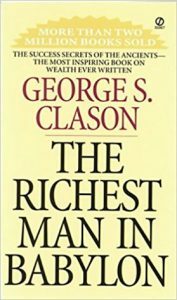 Basically, this book is there to tell you that you can be wealthy! But you must make good financial decisions and make them early. There are still many people who haven’t read this classic. 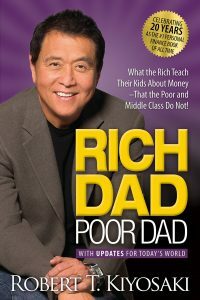 I owe a lot to Robert Kiyosaki. This isn't necessarily because of this must-read book which introduces you to the rat race most people run. It is more that I met my wife at one of his conferences whilst seeking Financial Freedom in 2009. This book will leave you speechless after reading it. It is thoroughly simple but very powerful and unapologetic. You get introduced to the ESBI quadrant, which will transform the way you look at where you're now and where you want to be. 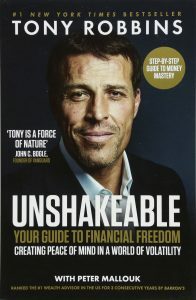 Tony Robbins demystifies stock market crashes and tells you exactly what you should and should not do during market crashes. 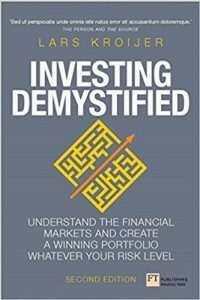 There is a right way to invest and win the game, and this book does well to reveal that to you. I am a big fan of his in general and his personality is infectious. Really love this guy! Got children? goddaughters or godsons? Nephews or nieces? These gift ideas for friends and family will certain be a hit! 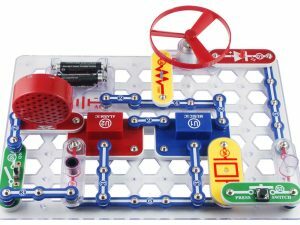 A multi award winning technology and engineering toy that lets allows children to build more than 100 exciting projects. It contains more than 30 Snap-Together parts with clear and illustrated instructions. Some of the exciting projects include a doorbell, burglar alarm etc. 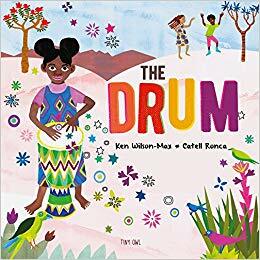 This award winning picture book makes a great gift if you want to add a bit of diversity to your bookshelf. It explores various musical instruments from all the world and how they make you feel and move. Music is great for intellectual development of children, as well as emotional and physical development. This book is bound to get you clapping and stomping your feet! 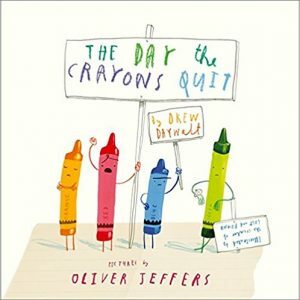 This is a fun and creative book that explores the thoughts of various crayons in handwritten letters to their user. It’s a NY Times Number 1 Bestseller and for good reason. We read this to our sons often and they love the illustrations and humour. I've personally had a lot of fun role-playing as I read this to our boys. It is also a very creative book and even explores the relationships and conflicts between colours. Is the sun yellow or orange? You’ll understand the question when you read the book. Hope you've found that list useful. I've certainly enjoyed compiling it. 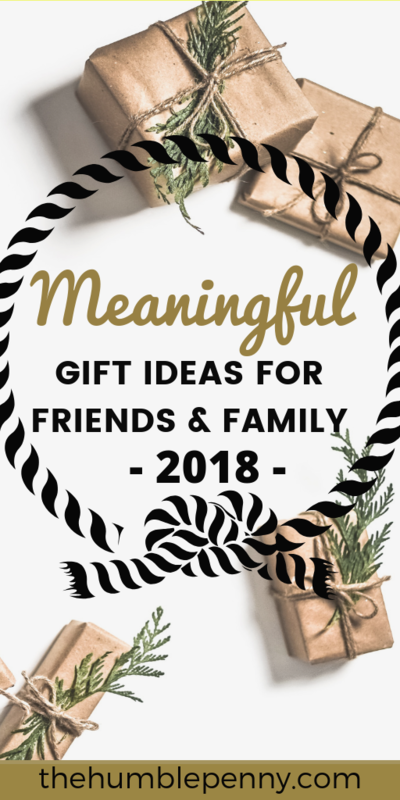 This list could go on, but hopefully you can find meaningful gift ideas for friends and family within your budget. The key really is to give cheerfully no matter what you're giving. Let this year bring new joy and fun to your Friends.